Welcome back to another episode of the Creative Breakthrough! Both are captivating and fast reads. I urge you to read one of them prior to our conversation next week. And last announcement – Canada! We are top 200 podcasts, but I need your help with reviews! Could you all please leave me an iTunes review? I go over the directions at the end of today’s episode in the closing segment! January 1st is one of my favorite time of the year because I get to take inventory of how the previous year went and set new goals for the current year. One of the first things I like to do is reflect on the previous year. I created a worksheet on what my thought process looks like. If you are interested, please visit funnybrowngirl.com/goals to download this worksheet! When I’m reflecting on the prior year, I like to think about it in four buckets. What was the best parts of 2018? What did I achieve? What did I learn? And what do I need to let go of to start 2019 fresh? I then like to map out my 2019 journey. A few years ago, I started a spreadsheet with all my dreams and action steps to turn them into goals. My spreadsheet has 3 columns. 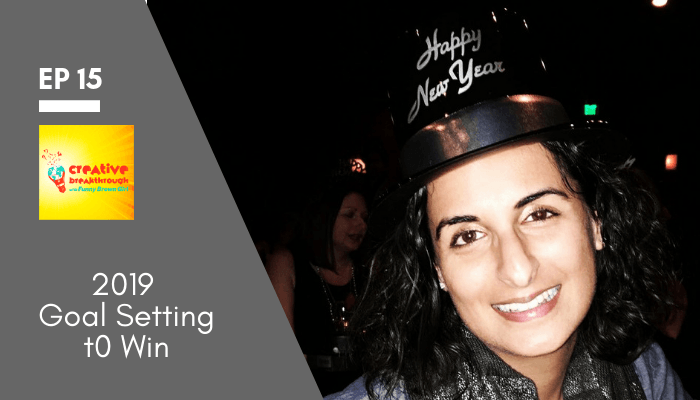 First column – goals – everything and anything I want to do in my life. For example, A few goals I have written down include be a correspondent on the Daily Show, write for SNL, tell a story on the mainstage at The Moth, do a Ted Talk, perform in Carnegie Hall. And the list goes on. The second column is labeled – skills I need. For each goal, I list out the skills I need to get there. For example, for The Moth, I need to improve my story telling skills and understand what it takes to be a captivating story teller. The third column is labeled – Action. What can I start doing today to get me closer to my dream? I can start attending story telling meetings in my city. I can start listening to the podcast more regularly. I can read a book or take a course on story telling. Remember, a goal without a plan is just a dream. Thus, I take my dream and lay out an actionable plan to achieve it. Now every year this list changes. I don’t delete from it. I just keep adding. It’s fun to see how my dreams change every year. Now that I have this list, I go through it and highlight (in column A) what are my top goals for 2019. I usually pick 5 to 10. More than that and it’s hard to prioritize. You also may feel overwhelmed. I then review these 5 to 10 goals – and create a list of about 10 things I can do immediately (pulling from Column C). Not today, but in the next 30 days, what can I start working on? I write these down on a separate piece of paper. I then make a list of 5-10 goals that I am interested in, but that I need time to accomplish (from column A). This could be my dream to be the lead star in a Blockbuster film. I know that my acting skills are not where they need to be to land such a role. This year I will continue taking acting classes (a goal I can do immediately) to help me reach goals that I need time for. I add these to the separate pieces of paper and label the column long-term goals. At the end of the exercise, I have a list of 5-10 immediate goals and 5-10 long term goals. A few of the immediate goals are the same year over year, such as get in shape, see my abs, and learn to cook healthier foods. But that’s because my weight is challenging for me and so I need the constant reminder to stick with it. I print this page out and clip it inside my passion planner. Every month I review it to see where I’m excelling and where I’m falling behind. For example, last year one of my goals was to write more – 20 minutes a day – that didn’t last long. But every month I reminded myself of that goal. It just turned out it wasn’t high priority for me in regards to other goals on my list such as read more or workout more. One of my long-term goals from 2016 was to start a podcast, which then became a 2018 immediate goal, and is actually a reality in 2019! Now the new goal is to be consistently in the top 50 podcasts! My goals are constantly evolving and changing. If you find that the goal you made is too specific, or maybe too broad, you can always change it. Let’s help each other win in 2019! 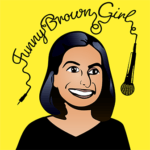 As always, I’m here to assist you, so if you have any questions/comments email me at info@funnybrowngirl.com or on IG/Twitter at FunnyBrownGirl.